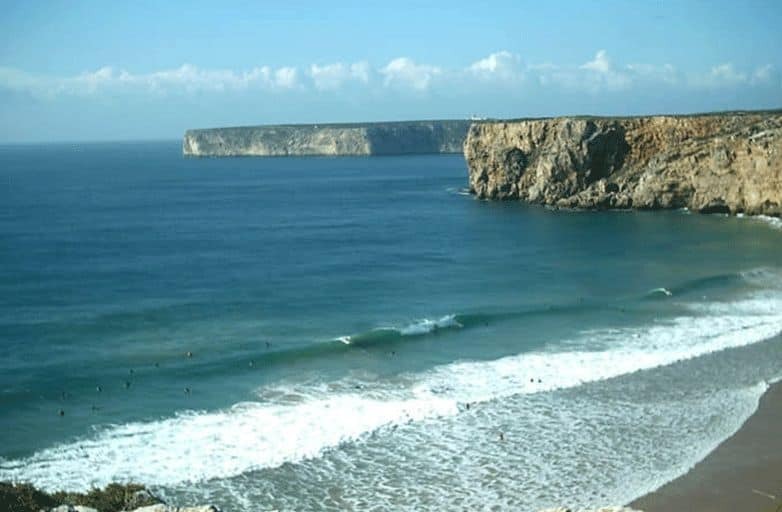 The southwest Algarve is a perfect destination for surfing all year round. It offers excellent consistent waves, fantastic weather, mild winters with lots of sunshine and amazing water quality. The southwest Algarve is a perfect destination for surfing all year round. It offers excellent consistent waves, fantastic weather, mild winters with lots of sunshine and amazing water quality. With one coast facing predominately west and the other south, if there is any swell around, there will always be waves somewhere, irrelevant of wind directions. 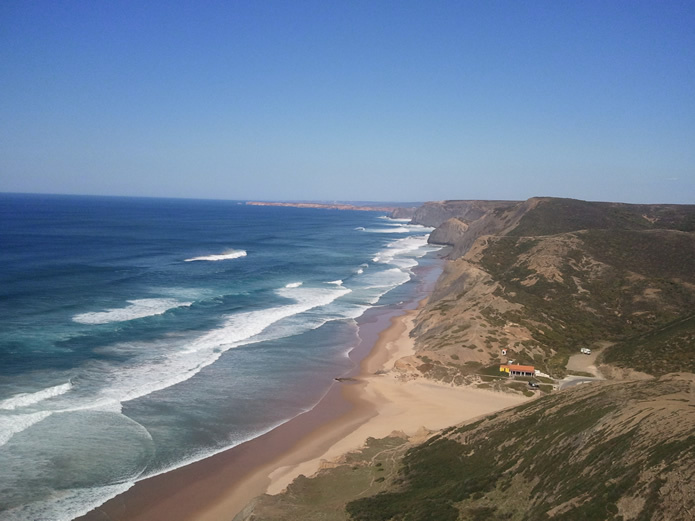 The West coast, with beaches like Cordoama, Amado, Carrapateira and a bit further north Arrifana, is the best surf destination in the Algarve as it picks up the predominant north westerly swells. It is famous for perfect peaks on beautiful sandy beaches as well as its stunning coastline. During the bigger winter swells the South coast tends to have nice waves, but can have fun waves for beginners in the summer as well on beaches like Zavial or Ingrina. So, if the West coast is too big for you then a short drive will find you on the south coast where the waves will usually be smaller. Praia do Zavial is a fantastic hollow right hand beach break, which works well in the winter and sometimes in the summer if there is a decent swell. When it is small this surf spot can be great for the kids and beginners, but when it gets going, it is one of the heaviest right hand waves around. Great café, good food and ice creams! Praia da Ingrina is a beautiful quiet little beach with a tiny bay. This surf spot offers a fantastic lefthander that breaks off the rock into the bay. The wave can be nice and hollow, if the sandbank is good, but needs a good winter swell to really get going. Great café/restaurant with awesome views. Praia do Burgau is a beautiful old traditional Portuguese fishing village on the beach, with great waves in the middle and also towards the cliff at the west side. They work well in big winter swells, as well as with some summer swells if the direction is right. This surf spot offers quite mellow waves, super fun lefts and rights, that are great for beginners. 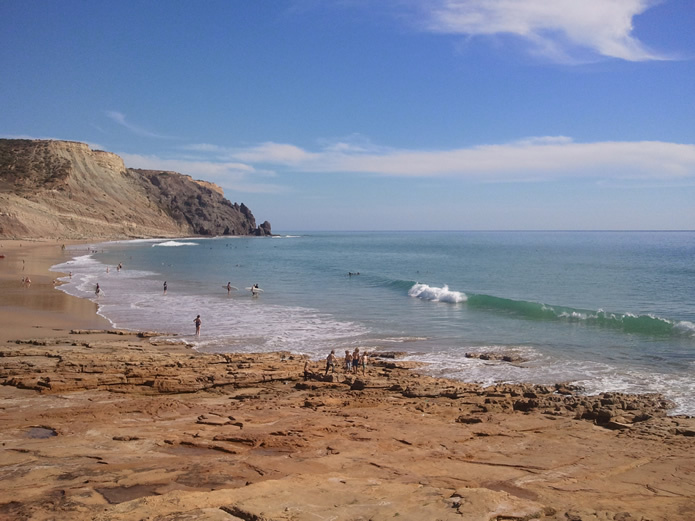 Praia da Luz is a really nice quiet sea side town, which is popular in the summer and pretty quiet in the winter. A beautiful long beach with a good reef at both ends and fun little waves in the middle. This surf spot works occasionally in the summer, but often in the winter. During the summer the West coast is almost always at least chest high, sometimes even over head high. In autumn, winter and spring the west coast consistently produces swell that is over head. 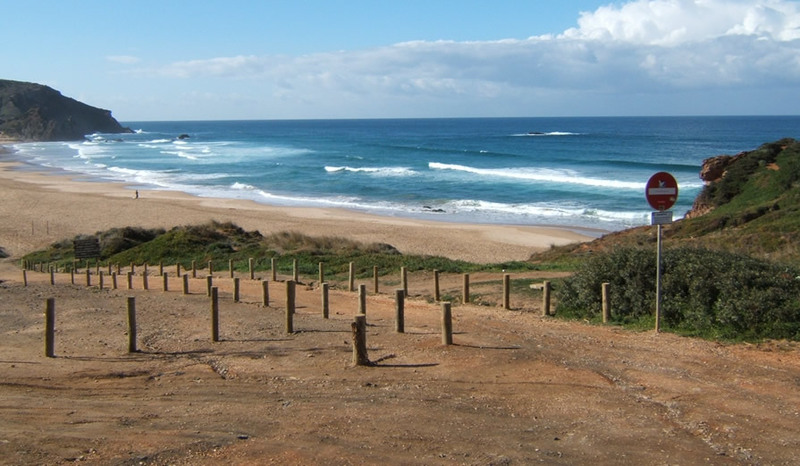 Praia do Cordoama is the most consistent surf spot in the Algarve region. It is a very open beach with stunning cliffs that greet the sand. In fact, one of the most popular beaches around with many people during the summer months. 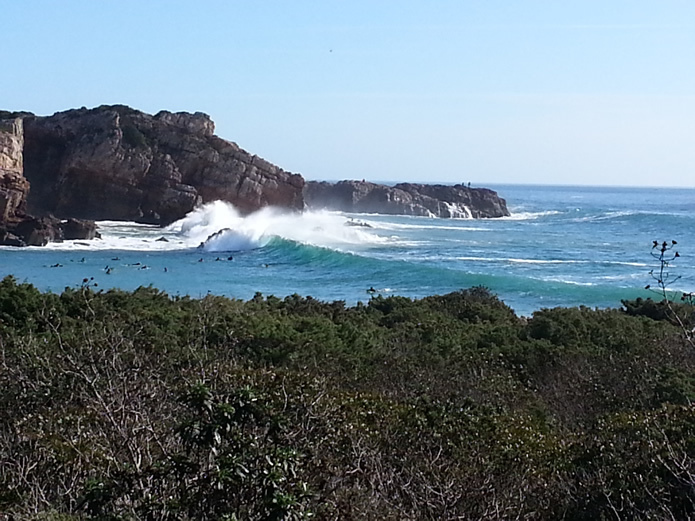 The waves can be exceptionally good with amazing peaks and when everywhere flat, Cordoama will deliver! Praia do Castelejo is Cordoama’s neighbouring beach. This surf spot has good consistent waves with an occasional lefthander peels against the cliff over shallow rocks, a good peak in the centre and also waves that break off the island to the left of the beach. The waves are consistent and the beach does offer a little bit of shelter from the north wind. Praia do Amado is a fantastic open beach and also very popular in the summer. This surf spot offers great waves, lefts and rights everywhere and works well through the tide, but low. Praia do Tonel is actually a south coast beach, but behaves like a west coast beach. This surf spot is really open to the swell and although a little smaller than the west coast there is not much in it. At low tide very hollow peaks barrel on the shallow beach and at high tide, there are mellower peaks. Be careful of the rip currents! 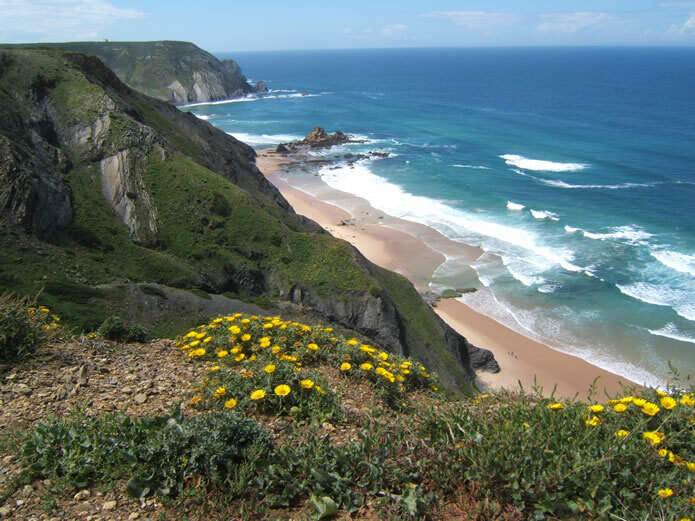 Praia do Beliche is a nicely wind-protected beach that offers some of the hollowest peaks around in winter. On this surf spot you will find 3 perfect left hand peaks that offer short round makeable barrels, best on mid tide.